Ooty is one of the popular hill stations of the country and a place to be visited at least once in lifetime. 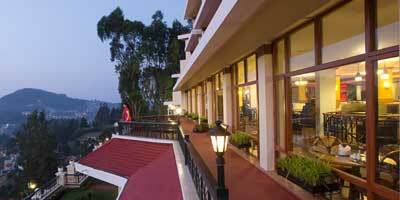 The hill station captivates each and everyone with amazing holidaying options. Its serene lakes, mesmerising waterfall, exciting outdoor sports, rich fauna and exotic flora promise an enchanting vacation to one and all. Ooty tour presents tourists with much needed break from the hectic schedule of city life. Its pure natural setting rejuvenates visitors presenting a total contrast from the pollution and concrete jungles of cities. There are many Ooty Packages from Mumbai for tourists to choose from. However, it is important to go with a reliable tour operator that can ensure timely services as well as maintain the standard of the services offered. Ooty Planet, which is a division of Holidays DNA, presents tourists with different kinds of Mumbai Ooty packages catering to wide range of interests and budget limits. Be it for honeymoon or family holidaying with children or adventure trip with friends, we make sure that you get best possible tour packages for Ooty Mumbai. The distance between Mumbai and Ooty is close to 1,160 km. The city of Mumbai is connected to Ooty through almost all the transportation modes such as roadways, airways and railways. Thus, tourists can have a hassle free trip to Ooty from Mumbai. The nearest airport to Ooty is the Coimbatore Airport and tourists can hire taxi till Ooty from the airport. The nearest railway station is Mettupalayam. At Ooty Planet, tourists are offered with various options of Ooty Packages from Mumbai. They can choose any of the packages and be sure of getting timely services. No matter which package you take, we ensure that high quality is maintained without creating a hole in your pockets! Some of the Ooty Mumbai Packages offered by us are Honeymoon packages, family tour packages, adventure packages, business tour packages and many more. Along with these, we also provide our clients with customised packages suiting their specific requirements and budget. We offer not just tour packages but also assist our clients throughout their trip. 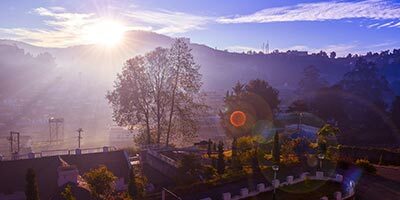 We equip them with updated and detailed information on Ooty resorts and hotels as well as suggestions on the best time to visit Ooty, details on sightseeing, commuting within the hill station, cuisine, shopping, etc. The hill station of Ooty is nothing less than a paradise with its breathtaking natural settings comprising of lush greenery and exotic flora and fauna. Not just for nature lovers, but the hill station attracts everyone with varying tour ideas. Adventurous sports along with a relaxing environment present tourists with a perfect break from the chaos of cities. Spend some enchanting days with your loved ones amidst the breathtaking scenic beauty and calm atmosphere. Imagine getting up with the sound of chirping birds rather than with honking of vehicles. Mumbai Ooty tour packages offer tourists with this and much more. The distance between Mumbai and Ooty is approximately 1,160 km. Mumbai is connected to Ooty via various modes of transportations-roadways, airways and railways. The nearest airport is the coimbatore and the nearest railway station is Mettupalayam. Thus, tourists will not have any problem reaching the hill station. in order to ensure a hassle free vacation, tourists can opt for one of the Ooty Packages from Mumbai. Ooty Planet, a sub-division of Holidays DNA is one the leading tour operator offering wide range of Ooty Mumbai tour packages. In spite of wide availability of tour packages in the market, it is important to go with a reliable name that can offer timely and high quality services. We at Ooty Planet ensure that our clients are offered with best possible deals. Our Ooty packages from Mumbai are designed taking into consideration all the needs are requirements of tourists. Some of the kinds of Mumbai Ooty Packages presented by us are Honeymoon packages, family tour packages, adventure packages, business tour packages and many more. We also present fellow travellers with customised tour packages. With us by their side, tourists can have their Ooty Mumbai packages planned in exactly the way they want and based on their needs and budget. We also offer tourists with updated and detailed information on various aspects of the hill station so that they can spend their days at ease and get the best out of their stay there. Information on aspects such as ooty resorts and hotels as well as suggestions on the best time to visit Ooty, details on sightseeing, commuting within the hill station, cuisine, shopping, etc are also offered.